We offer James Hardie® fiber cement siding because it is resistant against wind, water, fire, UV rays, insects, and rot. We are always searching for the best exterior siding brands on the market so you can enjoy durable siding that lasts for years to come. 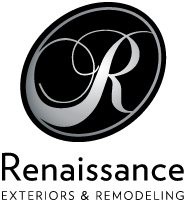 You can always count on our siding contractors at Renaissance Exteriors to do quality work. One of our missions is to create more sustainable homes by using products made of materials that are easily attained and readily renewed. Since fiber cement siding panels are extremely durable, it doesn’t have to be replaced as often as other siding products due to wood rot or exposure to the elements. 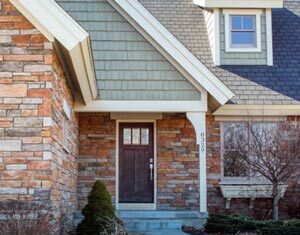 As a result, homes with fiber cement siding contribute less waste in the long run. Fiber cement siding is five times thicker than vinyl siding and is engineered to resist warping, rotting, and delamination. 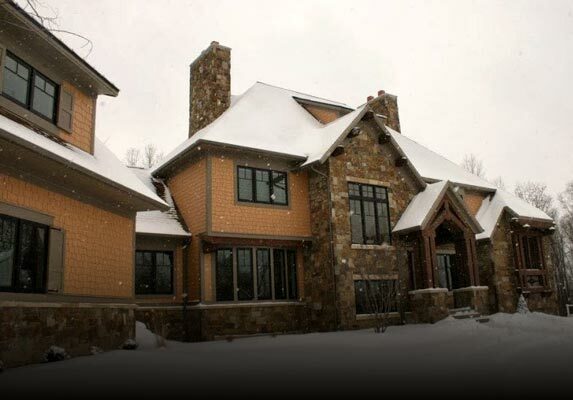 James Hardie siding is also designed to last up to five times longer than other siding products. With regular maintenance, fiber cement siding has been known to last up to 50 years. When you meet with one of our consultants, they’ll be able to go over the pros and cons of fiber cement siding so you can make an informed decision for your home.  The Grand Rapids siding contractors at Renaissance Exteriors are dedicated to helping homeowners improve curb appeal through fiber cement siding installation. If you are interested in learning more about fiber cement siding for your home, be sure to schedule your free in-home consultation with us at (616) 446-1248.